Famous Austrian writer Stefan Zweig once said when it comes to history though Goethe considers history with respect as the ‘God’s mysterious mills “but in this workshop, many are irrelevant and become habit... This workshop works as chroniclers, considering one thing and another as a chain of thousands of years with indifference and persistence. All the most important historic moment requires brewing time, because each event needs to have a development process. Today, there are no earthshaking events in this album that we compile together. There is only a description of teachers' countless record of ordinary daily life and work. However, this is a record of our school's pioneers and later successors cultivating the land of ‘Design by BIT “with the ideal of developing Chinese designing. The fruits are grown after several years of cultivation. That is to say, Beijing Institute of Technology has grown up with the founding and development of new China. In 1939, the Central Committee of the Communist Party of China decided to establish natural science research institute in Yan'an in order to promote the Shanganning border region's industrial production and guarantee the success of revolution. It gradually develops into a comprehensive university with the combination of science, engineering, management and arts. Thirty years ago, the discipline of Industrial Design was established in order to adapt to China's national defense industry and economic construction and development with Groups of pioneers and builders dedicating themselves to the development of a new China. The development of the School of Design and Art in recent 30 years is small compared to that of the design in China and the whole world. However, the school has contributed a small bit to the development of designing which comprise some indispensable link or vital part in the chain of design education. Reviewing the past, it was this group that advocated developing modern industrial design with the industrial design colleagues in a few science and engineering universities who set up this major. They jointly explore to build a prototype of Industrial Design education and design a blueprint for the future development with some of the design predecessors... In fact, it became an important step in china's Industrial Design, filling the gap of the Industrial Design education history in China. new cultural situation and background of education reform, we decided to set up the School of Arts based on the major of Industrial Design. In 2009, it was officially changed to its current name School of Design and Arts in BIT. In this process, the idea of constructing teaching system has been clear with the combination of Traditional Culture, Art and Design, and the promotion of Design and Fine Arts. Art Design and production are used to motivate personnel training on the basis of the artistic practice and scientific research. After 12 years of hard working, we have established six departments and one project. In addition to the development of first level design, fine arts discipline is also under construction. In addition, the Equipment Design Research Center, Interaction Design Research Center Laboratory, Vehicle Laboratory, Media Lab and Model Making Laboratory are set up successively to provide good teaching conditions with hardware support or the development of talent training. In 2012, the department of Industrial Design was named as the key major of Ministry of Industry and Information Technology. aesthetic purport as orientation in the design field. we will keep the attention to academic frontiers. we will constantly accumulate and innovate professional connotation, exploring an international personnel training path suitable for their own characteristics, reflecting cultural consciousness, rationality and artistic development. The thirty years of development of School of Design and Art in BIT is the common effort of pioneers and peer colleagues' cooperation and even the large groups of alumni's responsibility for themselves and the understanding and support to the alma mater and collective. We are a big team. We are proud to harvest today's achievements and results and draw lessons from the past. We are looking forward to our future career to make constant progress for our undertaking and realize the booming of Chinese design and the revival of Chinese culture. We are looking forward to build bright future with our efforts. 1.The first group of 20 undergraduates were recruited by the Industrial Design Department, whose major were industrial design. 2.The industrial product modeling laboratory was established, equipped with chambers for student modeling, machining, plastic thermoforming, clay plaster modeling, wooden model processing, painting & printing , electric welding and a computer room. 3.On March 2, a number of teachers of the department attended the inaugural ceremony of the "Industrial Designer Society of the Chinese Universities" in Beijing and the first seminar of the National Industrial Design Education . The establishment of an "Industrial Design Association of Higher Education" was proposed and discussed during the seminar. 4.Then on April 12, application of the "Supplementary Provisions for Industrial Design Department Recruitment " was submitted. 5.Later on May 14, Zhang Aiping, Deputy Secretary-General of the Central Military Commission, Zhou Yiping, former deputy political commissar of State Commission of Science and Technology for National Defense Industry, Minister Zou Jiahua of the Ordnance Industry visited the college and inspected the Industrial Design Department there. 6.In November, the Industrial Designer Society of the Chinese Universities proposed with the leadership of the preparatory group, was anchored in the Beijing Institute of Technology, setting up a special office in Building Yuanzhi in the college. 7.Teachers, including Zhuang Hong, Xu Hongwen, Jiang Xiangyun, Liao Dan, Zhang Hong, Chen Weiyuan, Wang Ying, Zhang Chongpu and so on, were hired by the college. 1.Through cooperation with the Department of Mechanical Engineering, the Department built a master education system, which became the first ever to develop graduate education of this discipline. 2.To fulfill the integration of production, teaching and research, "Yifeng Industrial Design Firm" was set up, whose general manager was Zhong Chongpu . 3.In June, colleagues, including Zhuang Hong, Zhong Chongpu, Xu Hongwen, Liao Dan, Chen Weiyuan from "Yifeng Industrial Design Firm", took up the theme mural design and creation of Yunnan Office in Beijing . 4.On August 1, teachers, organized by the college collected and reviewed and published the syllabus for the14th Department (Industrial Design) . 5.Students' works was exhibited by the Department of Industrial Design . 6.Xu Hongwen created a large mural The Yellow River to celebrate for anniversary of the Beijing Institute of Technology (hanging in the college's main building). 7.Xu Hongwen's work "Breeze" won Special Merit Award of "World Youth Annual Painting Exhibition"
1.Design Department was founded, Jan Zhaoquan was appointed as head of the department. 2.Jan Zhaoquan took up leadership of the "industrial design teaching guide group" of higher technical institutions, with a term lasting five years. 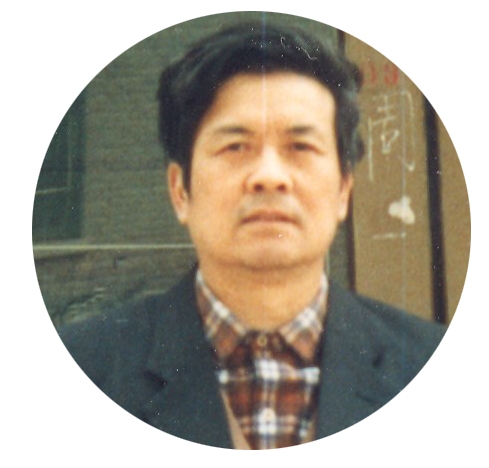 3.In March, Jan Zhaoquan was appointed as director of the industrial design department (1987.3-1993.7), and Wu Yongjian, Guo Daming as the deputy director. 4.On June 15, Industrial Design Department applied for aooperation with China Yanxing Quality Goods Sale and Development Corporation to establish Yanxing industrial design company. 5.The Department of Industrial Design worked with Hebei Shengli Automobile Factory on wagon design, and the prototype was completely handmade by faculty for three months. 6.Graduates were enrolled for the first time and only 1 student was admitted that year..
7.Xu Hongwen attended Japan's "Painting Exhibition of Twelve Artists" in Beijing. 1.In August, "National Seminar of University industrial design education" was held at the Qinhuangdao Branch of the former Beijing Institute of Technology. 2.In the competition of the Fourth (1986-1988) Teaching Excellence Award held in the college, Wang Tiezhuang won the second prize, while Wang Deping was awarded the third prize. 3.Yang Xin, Sun Zhihong began teaching in the college . 1.Optional courses including product design, visual communication design and interior design were available from this year on. 2.The first group of undergraduates were graduated. 3.In January, Yan Birang was appointed as the deputy director of the Industrial Design Department (1989.1-1992.10). 4.In May, Zhuang Hong completed a preliminary design of teaching building for the School of Design . 5.From October 17 to October 21, Chinese industrial design delegation comprised by Wu Yongjian, Jan Zhaoquan and etc., presented the "the 16th Annual Conference of World Federation of Industrial Design Association" in Nagoya, Japan. 6.In November, Liu Xuji served as party secretary of the Department (1989.11-1992.6). 7.Feng Ming was awarded the gold medal for design in the "First China International Food Processing and Packaging Machinery Fair". Nantong Packaging Machinery Factory set up a "Caixing Award" scholarship for the Department. 8.Wang Bingjian was named National Accomplished Teacher. 9.Zhang Nairen was enrolled into the college. 1.The establishment of "China School of Design" was proposed by Jan Zhaoquan, Mr. Huang Zhouxuan, chairman of Qiaofu Construction Company and Mr. Liu Hongshu, CEO "Qiaoxing International company," and received the no. 43 approval from the Department of Electrical Machine Teaching (1991) . Scientist Qian Xuesen sent a congratulatory message, but the school was never built for some reason. 2.On February 28, the first goup of graduates received master's degree of the industrial product modeling from the industrial design department. 3.On May 8, Department of Industrial Design Engineering, undertook a project of making a sand table for the Electronic Department. 4.In the fifth (1988-1990) Teaching Excellence Award competition held by the college, Liu Shutang, Ruan Baoxiang won the second prize, Zhuang Hong received the second prize among the youth group. 5.In September, in "the light of the Asian Games - tech fountain Lantern Festival" during the Asian Games held in Beijing, the lantern "Flying Dragon and Phoenix " designed majorly by youth teachers of the Department, won the Best Prize of the organizing committee. 6.During October, in the exhibition- "the first Display of national high-tech Industrial Development Zone" held at the Beijing Exhibition Center, the teacher, Feng Ming and student Yan Jun completed the display design. 7.On October 13, Feng Ming was entitled with the Xu Teli scholarship for the academic year1989-1990. 8.Xu Hongwen participated in Beijing's " Ink Art Exhibition of the Six." 9.Xu Hongwen held a solo painting exhibition in Hong Kong. 10.Feng Ming was recruited into the college. 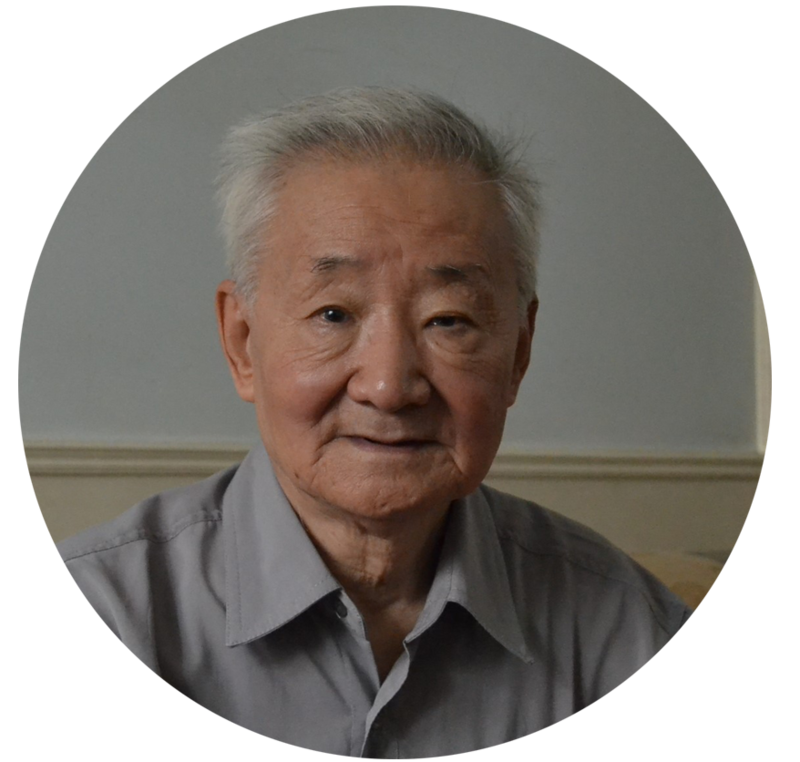 1.May 11, Feng Ming was named "outstanding master's degree recipient with great contributions to the Beijing Institute of Technology ." 2.In June, with the leadership of Jian Zhaoquan of the guide team of "Industrial Design" in the college, the book Product Modeling Materials and Technology, co-compiled by Wang Tiezhuang, was then published at the Beijing Institute of Technology Press, and released in Xinhua Bookstore Beijing. 3.By July, with the leadership of Jian Zhaoquan of the guide team of "Industrial Design" in the college, the book Visual Communication Design , co-compiled by Wang Deping, was then published at the Beijing Institute of Technology Press, and released in Xinhua Bookstore Beijing. 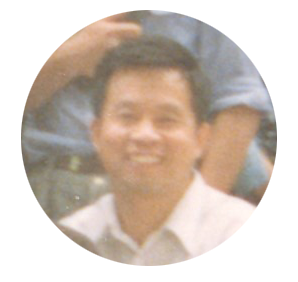 4.In September, Feng Ming was appointed the deputy director of Industrial Design Department (1991.9-1992.10). 5.In October, Wang Bingjian took up the product design of ozone sterilizer for Beijing Shunlong Electrical and Mechanical Neo-technology Limited. Wang Tiezhuang was awarded the Prize of Beijing Accomplished Teacher. 1.In June, Qi Chunping was appointed the Party secretary of the Department (1992.6-1995.12). 2.On August 27, the Department signed an agreement with the Beijing Zhenzhong Computer Disk Company on the exterior design of ZZ501B laptop. 3.In August, Hong Zhuang, a member of the Design and Art faculty went to Osaka, Japan, to visit the lighting community there (1992.08-1993.08). 4.By October, Qi Chunping (and), Ju Anda assumed the post of deputy director of the Department of Industrial Design. 5.Xu Hongwen held, "An Article, the old ten Painting Exhibition" in Beijing; later that year he went to New Zealand and Australia for his painting exhibitions. 6.Xu Hongwen held his second solo painting exhibition in Hong Kong. 7.Sun Yuanbo was recruited into the school. 1.Zhuang Hong won the Excellent Design Award in the "Tokyo International Automotive Design Competition (Car Styling)". 2.In May, with the leadership of Jian Zhaoquan of the guide team of "Industrial Design" in the college, the book Industrial Design Methodology, co-compiled by Wang Tiezhuang, was then published at the Beijing Institute of Technology Press, and released in Xinhua Bookstore Beijing. 3.On June 18, BFB-X50 semi-automatic powder packaging machine, designed by Wang Bingjian, won a Silver Prize at the Sixth National Invention Exhibition and International Packaging Machine Exhibition. 4.In July, Ruan Baoxiang was appointed the director of the Department, and Zheng Yan, the deputy director. 5.On September 8, era TH500 Hammer modeling designed by Wang Bingjian was adopted by Beijing Times Group Corporation . 6.On November 8, insulated bidirectional ventilator T320 designed by Wang Bingjian, and the exterior design of T420 series of products were adopted by Beijing Fangzheng Tebang Neo-tech Company. 7.Xu Hongwen attended the "Sino-Korea Art Association Communication Exhibition - first Memorial Exhibition of China and South Korea diplomatic relations " held in Korea. 8.Xu Hongwen was involved in the design of Changzhou commercial buildings facade, interior decoration, furniture, booth, showcase and the like. 9.From 1993 to1998, Xu Hongwen's calligraphy works was exhibited on, "the Anti-nuclear Peace Calligraphy Exhibition - Nuclear -explosion Anniversary Exhibition. 1.In January, Qiu Yue，a graduate then was delegated by Machinery Bureau of the Ministry of Power to the United Kingdom to work with Design Factor, a British design firm, and to jointly design products for Beijing Sifang Company. 2.On January 18, Ruan Baoxiang, Jan Zhaoquan and Wang BingJian participated in the conference of developing and designing the HRS40-5H and RS40-4H Container Front Carrier and signed an industrial design contract for HRS40-5H type and RS40-4H type container. 3.In January, with the leadership of Jian Zhaoquan of the guide team of "Industrial Design" in the college, the book Design Basics, co-compiled by Wang Bingjian, was then published at the Beijing Institute of Technology Press, and released in Xinhua Bookstore Beijing. 4.In March, the Beijing Haidefu Communications & Electronics Company commissioned Professor Wang Bingjian of the Beijing Institute of Technology on the exterior design of the voice BP, which was adopted and awarded with the new products, new technology golden medal in the "1994 China High-Tech Fair" organized by the National Science and Technology Commission. 5.In the "Tokyo International Automotive Design Competition (Car Styling)", Zhuang Hong obtained the Excellent Design Award, and Jiang Chen an undergraduate, won the Merit Award for student group. 6.November 8, Wang BingJian and Beijing Aerospace Golden Card Electronic Engineering Company signed a contract on producing the practical encryptor model. 7.Xu Hongwen and Teacher Zhou Sicong published theme videotapes on Chinese painting skill named Impressionistic, Realistic Figures in Hong Kong. 8.Xu Hongwen pioneered the Baoshuya memorial design for the Jinan Iron and Steel Plant, and part of the project design for Beijing Yujingyuan Villa. 9.Ji Yong and Ma Yue were recruited to teach in the college. 1.The Department of Industrial Design set up an undergraduate major (Industrial Product Design), affiliated to the Mechanics of Mechanical Engineering Department to fulfill the right to issue master's degree. The major research directions were as follows: modern design methods, ergonomics, computer-aided industrial design, form design. The Department had two research offices (basic research office and design section) and modeling laboratory (including model studio, woodworking room, machine room, darkroom, human laboratory, computer room). 2.On February 13, Wang Bingjian succeeded in exterior design of the golden card encryptor model, which was adopted by the Beijing Aerospace Golden Card Electronic Engineering Company. 3.In May, Wang Bingjian’s paper was involved in the "'1995 Beijing International Industrial Design Week" and Wang delivered a speech on the conference, "International Industrial Design Workshop", with its English version of the paper collected into the proceedings of the conference. 4.On June 29, Wang Bingjian participated in the compilation of Mechanical Product Design Skills and Exterior Styling Manual, which was adopted by the Weapon Industry Press. 5.On August 24, rebound hammer co-designed by Hao Jianguo and Wang Bingjian was awarded the appearance design patents. 6.Xu Hongwen chaired the design of Wuhan (Tianhe Department Stores) Commercial Building, China North Industries Corporation, and part of the project design for the Neo-Tech Training Center of Commercial Bank of China. 7.Xu Hongwen worked with the Japan Zuoguan Decoration Company and completed the decoration design missions for China North Industries Corporation, including the 101 projects (main ) hall, 18 negotiation rooms, General Manager's Office and deputy general manager’s office. 8.Qiu Yue and Xie Yong was recruited into the college. 1.On May 16, the self-piercing water purifier designed by Feng Ming, was conferred the utility model patents. 2.In March, Huang Farong was appointed the party secretary of the Department (1996.3-1996.7). 3.In July, Zhuang Hong took up the overall design of the Hainan conference hall in the Great Hall of the People. This is the first time the Great Hall of People signed a design contract with individual designers. 4.In September, Jiang Bing of the Design and Art Department went to Brasov, Romania to visit the Lang Schiele Zhvania University(1996.9-1998.1). 5.In November, Qi Chunping assumed the post of party secretary of the Department (1996.11-2003.3). 6.Xie Yong’s work was awarded with the Silver Prize in the "Beijing Industrial Design Excellence Competition" . 7.On June 7, Qiu Yue’s research projects was granted the third prize for “Science and Technology Advancement” from the Ministry of Electric Power Industry . 8.Xu Hongwen presided design works of Business Services Building for China Automotive Special Purpose Vehicle Xingyu Manufacturing Co., Ltd., Beijing Peace Hotel, and Beijing Pan-Asia Building. 9.Xu Hognwen cooperated with Hong Kong Yubao Decoration on interior decoration and CI design for the Wuhan Diyuan Hotel. 10.Xu Hongwen cooperated with the French Creative Design Group on the interior decoration of several floors in Shenyang’s Jindu Building. 1.On June 7, Wang Bingjian and Beijing Nanhua Machinery Co., Ltd. signed a contract on the appearance design of MJ banknote sterilization machine . 2.On June 7, Feng Ming’s water purifier was granted a design patent. 3.In July, Zhang Nairen was appointed the director of Industrial Design Department. 4.On September 10, Wang BingJian and the Beijing Neo-tech Research Institute signed a contract on industrial design of automatic washing machine. 5.On December 1, Wang Bingjian and Beijing Medical Network Modern Technology Co., Ltd. signed a technical and commercial confidentiality agreement. 6.Several students participated in the the Car Styling National Automotive Conceptual Design Contest and four of them entered the shortlist. One student in National Challenge Cup competition gained the Honorable mention and 2 others were conferred with the Excellence Award in Beijing Tourism Product Competition. 7.Xu Bangyue displayed his works in the "China Art Exhibition" and won the award of Contemporary Art and Design. 8.Xie Yong was awarded with Honorable Mention in "Tokyo International Automotive Design Competition (Car Styling)" for his works. 9.Zhuang Hong’s design on the "Xincheng Hotel Yuan-bin Building " was granted the"Excellent Design Award" by the Ministry of Construction. 10.Xu Hongwen participated in the interior design and construction management of China Everbright Bank Beijing Branch. 11.Xu Hongwen cooperated with Hong Kong Yubao decoration and completed the construction management of Wuhan New Public Park. 12.Shi Lei was recruited to teach in the college. 1.On April 20, Wang Bingjian and BeijingTuofu Electrical Appliance Co., Ltd. signed a contract on appearance design of two electrical pots. 2.In September, Zhang Fan’s poster design "Welcome to the New Century," was awarded with the bronze prize in the first "China Design Art Competition". 3.Zhang Nairen attended the press conference of Asian Arts & Science Seminar. 4.Jiang Bing, Hao Yawei, Li Ping was hired and began teaching in the college. 1.In July, Zhang Nairen attended the press conference of Asian Arts & Science Seminar. 2.In September, graduate Zhang Fan’s poster design "Welcome to the New Century," was awarded with the bronze prize in the first "China Design Art Competition". 3.In November, Ji Yong from the Design and Art Department began visiting the Brandenburg University of Technology in Germany (1999.11-2004.1.6). 4.The School established College Students Cultural Quality Education Base of the Beijing Institute of Technology, whose main body was the pottery studio, presided over by teacher Wang Yuegeng, who was also responsible for the construction. 5.Ma Yue participated in1999's "First Internet Advertising Design Competition" hosted by "online advertising pioneer," and won the first prize. 6.Xie Yong was awarded with the Gold Prize of "Osaka International Design Competition" (METI Minister Award). 7.The Department presided over the military project " the interior and exterior modeling and ergonomic design of 96 type 6 * 6 APCs ", which is the School’s first time to participate in military projects. 8.The School held "Second Cross-Strait Industrial Design Workshop." 9.Xu Hongwen presided over design of China Textile Research Institute Machinery Plant and part of the project design Beijing Military training base. 10.Wang Yuegeng began teaching in the college. 1.The School began to recruit art and design majors for the first time. 2.The School set up a sculpture studio, headed by Teacher Lu Mingfei. 3.The School established the Office of Interior Design and Information Design. 4.The School and Dongseo University in South Korea, signed an agreement on design education cooperation and exchange. 5.Xu Hongwen presided over the design project of Beijing Xiantong Electric Company, Beijing Military Region Architectural Design and Research Institute, Renji Groups, and America Fluke Company, as well as other institutions like China Textile Machinery Plant Design Institute, Beijing Military Political Department, Beijing Coal Hospitals, etc. 6.Lu Mingfei, Shen Huaping, Gong Xiaodong, Zhang Fan began to teach in the college. 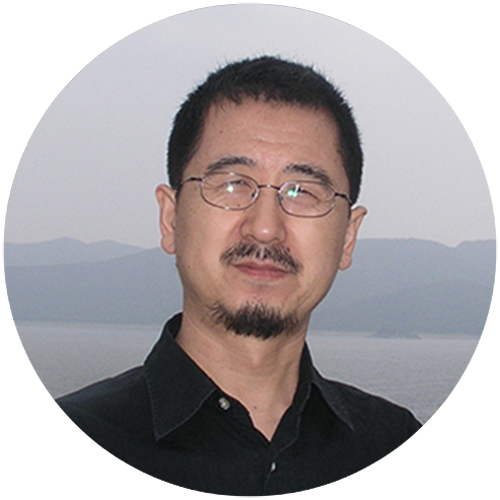 3.Xu Bangyue is responsible for the overall design of the Chinese Academy VI. 4.Xu Hongwen participates in the designs project of Beijing Military Training Base and the National Electric Power Dispatching Center Building. 5.Xu Hongwen directs the overall transformation and building facade design of BeijingSiqiang Industrial Development Corporation. 6.Xubang Yue, Luo Qi, Yang Jianmin, Yao Jian, Wang Hongwei work as teachers in our school. 1.School of Design and Art is founded, Zhang Nairen as the dean. 2.Department of Environmental Art Design is founded, with Zhuang Hong as the director. 3.Basic courses department is founded, responsible for all the basic courses of the school. 4.Establish the Department of Visual Communication Design and begin to recruit graduate students and foreign students.with Xu Bangyue as the head of the department. 5.Establish the department of traditional arts and crafts. 6.Recruit the Master of Arts independently. 7.In January, Shi Lei went on a scholar trip to the University of Tsukuba in Japan(2002.1-2007.7). 8.In March, Yang Jianmin went on a scholar trip to Kobe Design University in Japan(2002.3-2003.3). 9.In March, Luo Qi went on a scholar trip to Digital Design Faculty of Dongseo University in Korea(2002.3-2003.2). 10.In May, Li Ping went on a scholar trip to Stuttgart National Academy of Plastic Arts Studies (2002.5-2004.11). 11.In September, Fu Meng went on a scholar trip to Digital Design Faculty of Dongseo University in Korea (2002.9-2005.6). 12.In October, Zhang Rennai attended "National Seminar on industrial design education" in Hunan University. 13.Hao Yawei’s works competed in the UNESCO "Environment, Population and Sustainable Development (EPD) logo design" and won the best design award. 14.Xu Hongwen presided over the Beijing Zhongli Chemical Fiber Machinery& Engineering CO. , LTD., molding machine overall relocation plan, the main building design and environmental planning and design of the plant. 15.Xu Hongwen, collaborated with Tsinghua Gongmei Company, had done interior decoration of the Beijing Academy of Ophthalmology, Higher Education Press,etc. 16.Yang Jianming, Luo Tao, Tan wins, Sun Miao, Luo Ping, Dong Hongyu, Li Guangliang, Ke Wenzheng, Cui Cheng, Xu Xuan and Yu Xiaochuan began to teach at BIT. 1.Environmental Art Department began to recruit graduate students. 2.Establish the cultural heritage department, Lu Mingfei as the head. 3.Traditional arts department began to recruit graduate students and foreign students. 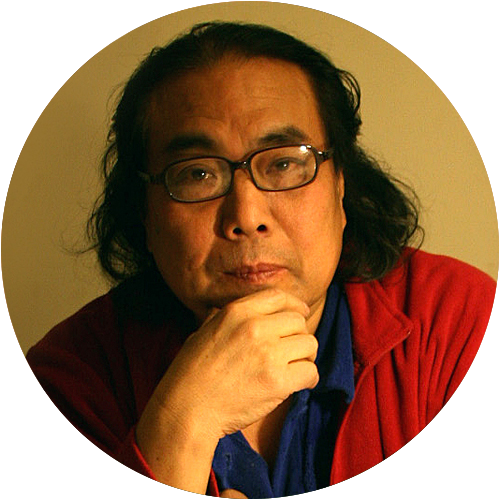 4.In February, Yao Jian went to Environmental Art Department of Kobe Design University as a visiting scholar (2003.2-2004.2). 5.Yao Yawei went to Department of Design Vision in Korea University as a visiting scholar (2003.2-2005.1). 6.In March, Liu Shuyan held the post of secretary of the School Party committee. (2003.3-2003.9). 7.In May, Traditional Arts and Crafts Laboratory, 500 square meters, was built up, adding a metal crafts studio, lacquer ware workshop, dyeing workshop, screen printing studio, headed by Cuii Cheng, Luo Ping, Tang Fang respectively. 8.In September, Li Lian take the office as the secretary of the School Party committee. (2003.9-2008.11). 9.In September, we organized and held "Beijing International Federation of Industrial Design Annual Meetings." 10.Set up the heritage professional direction, aiming to train professional research and design staff in the fields of cultural heritage restoration, preservation, management, display and other aspects. 11.Zhou Yan’s works were displayed in the "Today Art Museum First Youth Art Exhibition." 12.Design Material in the Process, written by Jiang Xiangyun has been selected as the "Beijing Higher quality materials in 2005." 13.On October 30th, our school;and Kobe Design University carry out artistic design education cooperation. 14.Xu Hongwen participated in Beijing "Dongtai House" project architectural design, in environmental planning and overall design. 15.Zhou Yan, Zhang Yanhong, Guan Guohong and Tang Fang were recruited as teachers. 1.The first foreign student-He Shuxiang(Singapore)attended the thesis/dissertation oral defence. 2.Department of basic courses established a sketching practice base in the Eastern Qing Tombs in Hebei Province. 3.Began to recruit undergraduates in the direction of cultural heritage studies. 4. "International Symposium on the World Heritage in Asia." planned and hosted by Department of cultural heritage. 5.Set up the woodblock New Year pictures and paper-cut studio, headed by Liang Chou. 6.In March, Dong Hongyu went to Kobe Design University, as a visiting scholar at the Department of Graphic Design (2004.3-2005.3). 7.In March, the book shape design by Guan Guohong won the national "Utility Model" patent (Patent No: ZL 03215125.X). 8.In March, planning the activities in the first Design Month--- "Fun Design". 9.In April, Cheng Jiujun went on a scholar trip to Kobe University of Technology in Japan(2004.4-2006.3). 10.The works of Hao Yawei were showed in "South Korea-China VISUAL Performance Expansion Exhibition" and "Graphic, Illustration Invitation Exhibition of Korea, China and Japan", winning the outstanding performance award and merit award respectively. 11.In November, Xu Xuan went to Polytechnic University of Milan in Italy visiting scholar (2004.11-2005.8). 12.On November 13, Yixuan News Agency of our school won two awards:the "rookie society" and "best community activities," at the Annual Community Appraising of Beijing Institute of Technology. 13.On December 31, Xu Hongwen attended the Costume Design Exhibition of China-France Culture Year. 14.Xu Hongwen was invited to France, Berlin University of the Arts(UdK) for the cultural exchange. 15.Guo Xitie,Fu Hong.Liang Chou and Li Shuang were recruited as teachers. 1.In April, Zhang Fan went to Germany Brandenburg State University as a visiting scholar(2005.4-2005.7). 2.On April 3, hold the first sports competition of our school. 3.In July, we organized and hosted the "Asian Links of World Cultural Heritage-Beijing International Seminar", and published the Asian International Symposium of the World Heritage. 4.In December, Liang Chou went to Germany Brandenburg State University as a visiting scholar(2005.12-2006.2). 5.The works of Fu Hong were showed in "China - Contemporary Painting Exhibition. "held in Bologna and Turin, Italy. 6.The work of Dong Hongyu was awarded the Honorable Mention by "Illustration Design of Kodansha". 7.The works of Xu Bangyue were showed in the "South Korea-China Communication Exhibition of Five Professors "(Pusan. South Korea). 8.The works of Xu Bangyue were showed in the ON/OFF Design Exhibition,held in Seoul,South Korea. 9.The works of Xu Bangyue were displayed in the 3th Busan International Environment Art Festival. 10.Hang Chunhui, Wu Huilan, Zhao Mei, Huang Xiaoyun and Zhao Bin were recruited as teachers. 1.Basic courses department was renamed as the Department of Decorative Arts,as the Master Program of Arts, headed by Yang Jianming. 2.Traditional Arts Department has already built its postgraduate teaching practice base in the Blue Calico Museum of Nantong. 3.In March, Luo Ping went to Kobe Design University as a visiting scholar(2006.3-2007.2). 4.In March, Tan Ying went to South Korea Konkuk University as a visiting scholar(2006.3-2007.3). 5.In April, Zhou Yan and Luo Tao went to Germany Brandenburg State University as a visiting scholar(2006.4-2006.7). 6.In October, Ke Wenzheng went to Loughborough University as a visiting scholar(2006.10-2007.9). 7.On August 3, we held "First Beijing International Symposium on Barrier-free Design of 2006". 8.In November, Li Guangliang went to Milan Polytechnic University as visiting scholar(2006.11-2007.9). 9On December 17,the works of Yang Jianming participated in "Visual Depth -Contemporary Artists Exhibition." 10.The works of Hang Chunhui were awarded the Silver and Bronze prize of "CCII International Logo Design Biennale Show" respectively. 11.The works of Fu Hong participated in the "Variation Image - Chinese Contemporary Painting Exhibition”at the Shanghai Art Museum and " China Today" exhibition by Banco Cultural Center in Rio de Janeiro, Brazil. 12.A type of human-machine ring of armored vehicles and full-size wooden model designed by Zhang Nairen, Gong Xiaodong and Luo Qi won the first prize in "Science and Technology Innovation of Beijing Institute of Technology". 13.Dong Hongyu’s works was awarded the Logo Design Excellence Award by "CCII International Trademark Logo Biennial"
14.Xu Bangyue’s works participated in the 4th Busan International Environment Art Festival. 15.The School of Design and Art developed a form of undergraduate Moral Defense of the Trinity including thesis, defense and display panels, and launched the "Graduate Moral Defense Design Exhibition" , winning "Outstanding Organization Award in Moral Defense" of Beijing Institute of Technology. 16.Cheng Jiujun, Fu Jiuqiang, Liu Yiming and Man Qianhe were recruited as teachers. 1.Approved as secondary discipline master awarded units of.the graduate degree in fine arts. 2.Decorative Arts Department established its training base in Xidi Village, Anhui Province. 4.On June 5, Zhang Nairen went to Japan for academic conferences and visits. 5.In June, our school held the "Annual Meeting of China Arts and Crafts Society of Ming furniture Committee"
6.In September, Asian International Symposium of the World Heritage, with Zhang Nairen and Yu Xiaochuan as chief editors, was published by Beijing Institute of Technology Press. 7.In November, Guan Guohong won the national inventions patent (Patent No: ZL 03111851.8). 8.On December 29, Hang Chunhui’s works participated in the "Academy Meticulous - Second National Youth Art Exhibition Famous Painting. "in Beijing Art Academy Art Gallery. 9.Students and faculty from the major of cultural heritage participated in the World Heritage Shirakawa cultural heritage research among Sino-Japan and South Korea. 10.Zhang Honghai’s works won the "World Star" International Packaging Design Award.in the “Zhong Yong You Pin" series of packaging. 11.The works of Hao Yawei participated in the "Venice Biennale" and won the excellence award. 12.Yan Kai’s works were showed in "Floating - New Generation of Art China Art Exhibition" by the Korea National Museum of Contemporary Art, "Art Beijing Contemporary Art Fair in 2007"and "Painting Gathering - contemporary art exhibition of nine persons" hosted by Quark Art Space. 13.Yu Dehua, Li Xiaohan, Yan Kai and Zhang Honghai were recruited as teachers. 14.Xu Hongwen held a solo painting exhibition in Germany on the invitation of should Frankfurt-Elsa, stauffenberg 99 galleries in Germany. 15.Xu Hongwen completed the Jiujiang elderly welfare planning and architectural design for Hong Kong Christian Lening Company. 16.Xu Hongwen was commissioned by Ministry of Culture and Li Keran Art Foundation as the chief-designer of "Keran in a Century - Mr. Li Keran Centenary Commemoration Exhibition"r. (Exhibition: China Art Gallery). 1.In March, recruit the full-time postgraduates of the Industrial Design Engineering Major. 2.In March, Sun Miao went to visit Kobe University of Technology as a visiting scholar (2008.3-2009.3). 3.On April 16, Hangzhou Chunhui’s works participated in the "phantom / Essence - Exhibition on Contemporary Painting of New Directions" (Beijing Painting Gallery). 4.In September, Yang Jianming was appointed as the Executive Dean of Art and Design School, (Dean unavailable). 5.On September 27, Yan Kai’s works participated in "Ink Not Equal to Ink - Chinese Contemporary Ink Painting Exhibition" (Shenzhen Art Museum). 6.On September 28, Hang Chunhui’s works participated in "What has left in the Art? - 798 Art Festival." 7.On September 30, Yang Jianming’s works participated in Beijing Art Salon Theme Exhibition-"Vision · Image - International Invitational Exhibition of Contemporary Painting and Sculpture." 8.In November, Yang Haibin hosted the spot of secretary of the Communist Party Committee in our school(2008.11-2011.6). 9.On December 12, Yan Kai’s works participated in the "Ink Not Ink - Invitation Exhibition of Chinese Contemporary Ink" (second stop)in Beijing Today Art Museum. 10.Xu Bangyue’s works participated in the "LOVE & PEACE Poster Exhibition among China,Japan and South Korea", held in Seoul, South Korea. 11.Hang Chunhui’s works were showed in " Korea Busan International Ink Invitational Exhibition in 2008". 12.Ou network interaction design robots, designed by Xie Yong have won national awards, ranked first. 13.Department of Environmental Art Design has finished the design of "Interior Design of China-Taiwan Network "
14.Decorative Arts Department began to enroll the first graduate on Arts, as well as continued being responsible for the basic courses of the school. 15.Wang Tao was recruited as a teacher. 1.Formally renamed as the School of Design and Arts of Beijing Institute of Technology. 2.Decorative Painting Department was renamed the Department of Visual Arts, Zhou Yan as the head of the department. .
3.Hao Yawei was appointed as the head of Visual Communication Design Department, hosting the "0880" Visual Arts Exhibition in the winner. 4.Department of Industrial Design took the Human Factors Engineering and interaction design as a key development direction and selected into the special undergraduate major in Beijing specialty education construction projects. 5.Xu Hongwen held personal painting exhibition entitled "Quiet World" at the Hong Kong Cultural Centre . 6.In February, Li Ping participated in "BIEAF 2009 International ECO Design Fair-Sino-South Korea Environmental Art Exhibition." 7.In March, Man Qianhe went to Kobe Design University as a visiting scholar(2009.3-2010.3). 8.In April, Xu Hongwen’s works participated in the "Goddess of Mercy Church's first Sino-South Korea Exchange Exhibition". 9.On April 27, "Fun Design" theme academic month of the School of Design and Art was open, the artist Chen Danqing taking a seminar at Zhongguancun campus. 10.On May 22, Mr. Wang Shi, one of the famous entrepreneurs, President of Vanke Group, gave a lecture in BIT on the invitation of "Fun Design" theme academic month. 11.From June 6 to 7, the School hosted the "China Arts and Crafts Society Ming-style Furniture Committee Annual Conference- Civil Furniture Workshop". 12.On September 29, Yang Jianming’s works participated "China Oil Painting Exhibition on Commemoration the 60th Anniversary of Diplomatic Relations" in Pyongyang. 13.In September, Professor Takahashi from Toyo University, the expert in the field of universal design in Japan,visited our school for academic exchange activities. 14.In September, Zhang Fan’s photography "Forbidden City turret" won the third prize of the public group in the first "Chinese Ancient Architecture Photo Contest". 15.In October, our school participated in national projects including the float design, and parade square team chariot color camouflage design in the 60th anniversary parade. 16.In October, Hang Chunhui’s works participated in the "Eleventh National Exhibition of Chinese Painting Exhibition". 17.On November 23, Hang Chunhui’s works participated in the "College Meticulous - Art Exhibition". 18.In December, the individual design exhibition of Li Ping-"the Perspective of China" was showed in "The Eye From China" ,Wiblingen, Germany. 19.The works of Liu Ming -"Man and Nature" was showed in "BIEAF2009 International Eco Design Fair", held in Busan, South Korea. 20.Xie Yong participated in the project of “ Float Design in the 60 Anniversary of National Day”. 21.Xu Bangyue’s works were showed in "LOVE & PEACE Poster Exhibition among China,Japan and South Korea" held in Seoul, South Korea. 22.Department of Environmental Art Design completed the "Design Scheme on the Standardized Image of Liaoning Tax Service Hall. 1.Plastic Arts Department began to recruit foreign students on master's degree. Visual Communication Design Department established Digital Interactive Art Laboratory. 2.The Design and Art Comprehensive Experimental Center, with the Traditional Arts and Crafts Laboratory as the main part, was honored as the "Demonstration Center" of the university. 3.Department of Industrial Design founded the Human Factors Engineering and Interaction Design Lab, on the basis of the Beijing specialty construction projects and "985" research base project of the desks design. 4.In March, Liu Yiming went to Kobe Design University as a visiting scholar(2010.3-2011.3). 5.In April, Hang Chunhui’s works participated in the "Second National Meticulous Small Re-color Works Exhibition" and won the “Dan Qing Award” . 6.From April 19 to May 31, the School of Design and Art held a series of educational activities-"Open the Door to Professional". 7.On April 21, the website of the School of Design and Arts put into practice. 8.On April 28, the School of Design and Arts held the “Man Qianhe’s Exhibition of Overseas Works”. 9.On May 7, the School of Design and Arts held a series of academic exchanges, organized by Professor Teodorescu, the Director of the Department of Industrial Design in Stuttgart Academy of Fine Arts, Germany. 10.On May 17, the “Design of Crossing Happiness: Graduates’ Extracurricular Technology Exhibition”, sponsored by the BIT (Beijing Institute of Technology) School of Design and Arts and its Graduate Student Union, was held in Chao Wai SOHO Art Gallery. 11.On May 27, Professor Christian Steiner, from the Department of Industrial Design in Vienna University of Arts and Crafts, together with Teacher Zhi Heng, from the Department of Education in Vienna University of Fine Arts, visited the School of Design and Arts, and had a conversation with the Vice Dean Yang Jianming and part of key teachers. 12.On June 29, the School of Design and Arts, together with the Office for Affairs of Hong Kong, Macao and Taiwan of PRC (People’s Republic of China) Ministry of Culture, jointly held the “2010 Hong Kong and Macao Visual Arts Forum”. 13.In June, 2010 Hong Kong and Macao Visual Arts Forum Collection was published at the BIT Press, and Yang Jianming, as the executive editor, got involved in it with Qiu Yue, Feng Ming, Cheng Jiujun, Dong Hongyu and Gong Chao. 14.On July 1, the School of Design and Arts held the “2010 session of Fine Arts Graduate Works in the BIT School of Design and Arts”. 15.On August 2, the School of Design and Arts undertook the “2010 China, Japan and South Korea Summer Camp Design”. 16.On September 29, Professor Lehman, the German designer, came to the BIT School of Design and Arts and gave a lecture entitled the “Status Quo and Future of Design”. 17.In October, Yang Jianming acted as the Dean of the School of Design and Arts. 18.From October 10, 2010 to January 22, 2011, the School of Design and Arts organized students to visit the State Academy of Art and Design Stuttgart, Germany for short-term overseas educational activities. 19.On October 19, the works of Yang Jianming and Wang Hongwei participated in the “Spirit and Character: Chinese Oil Painting Exhibition”, which was held in Singapore. 20.On November 15, Dean Eric, from GOBELINS, visited the BIT School of Design and Arts. 21.On December 2, the School of Design and Arts held the reading activity briefing on “Apprenticeship Stack” and “To Read the Classic, to Sense the Design”. 22.On December 4, Ma Weixing won the Outstanding Instructor Award in the “Eighth China Environmental Art and Design Ceremony for Academic Year: the Annual Meeting of China Environmental Art Design in Education”. 23.On May 28, Luo Ping’s work of the “Falling Stars” participated in the “Walk from the Age of Hemudu to Ruture the Third Exhibition of International Chi Art 2010”, and he won the Excellence Award. 24.Zhang Hong’s works participated in the “Charm” Calligraphy Exhibition in the Red Three-room Gallery of Beijing 798 Art District. 25.Yan Kai’s works participated in the Beijing “AATS 2010 Asian Art Expo”. 26.Liu Yiming’s work of the “Monogatari” participated in the “Re” exhibition, which was held in the Art Gallery of Kobe, Japan Art Engineering University. 27.Man Qianhe held a personal jewelry exhibition in Kobe, Japan. 28.Lectures of the Paris Higher School of Arts and Cultural Management (IESA). 29.Zhao Mei’s works won the Gold Award for the Best Architectural Design in the “Seventh China Habitat Model Architectural Design Competition 2010”. 30.Xu Bangyue’s works participated in the “LOVE & PEACE Poster Exhibition in China, Japan, South Korea, Britain, the United States and Finland”, which was held in Seoul, South Korea. 31.The Communist Youth League Branch of the School of Design and Arts held its sixth academic month activity entitled the “Fun Design”. 32.Xu Hongwen’s work of the “Qing He” participated in the “Chinese Painting Exhibition Tour in Southeast Asia”, organized by the Ministry of Culture. 33.The Department of Environmental Arts and Design got involved in the pre-series of A Well-planned Textbook on the Architectural and Environmental Arts of General Higher Education, and they wrote A Well-planned Textbook on Environmental Arts. 34.Ji Xiaoying and Han Lei, the undergraduates in Grade 2006, respectively received the Bronze and Excellence Award of the “Eighth China Environmental Art and Design for Academic Year”, and the Department of Environmental Art and Design won the “Outstanding Organization and Management Prize”. 35.Cui Dengxue and Peng Peng, from the Department of Industrial Design, participated in the “Fifth Industrial Design Competition for Vantage Creative Kitchen”, and they received the Integrated Gold, Silver, and Best Design Prize. 36.Cui Dengxue, from the Department of Industrial Design, participated in the “Lite-On Innovation Award”, and he won the Silver Prize. 37.Niu Yinxin, from the Department of Industrial Design, participated in the “Changan Automobile Cup Industrial Design Competition”, and he won the First Prize. 38.Gong Xiaodong hosted “A Study on Design Requirement of an Aging Society”, a research project related to Humanities and Social Sciences, approved by the Ministry of Education. 40.Zong Mingming was applied to teach in BIT (Beijing Institute of Technology. 1.The School of Design and Arts established the Department of Art Theory Research, and Zhang Fan was the Director. 2.A traditional crafts studio was built in BIT (Liangxiang Campus) for its teaching, and in 2012, the optional experimental course was set up there. 3.In January, the BIT (Beijing Institute of Technology), Dongseo University, and Kobe Design University jointly launched the “International Forum for Asian Design”. 4.From February 14 to June 21, the National Taiwan University of Science and Technology and Taiwan Universities had a student exchange program with the mainland students in China. 5.In March, Yan Kai visited the Kobe Design University. (2011.3-2012.2). 6.On April 27, Professor Manfred Egger, the Austrian artist and art curator, gave a lecture entitled the “Art Nouveau” in the BIT Graduate Building. 7.In May, Fu Hong’s works of the “Fiction N0.3” and the “Warm Light Color” participated in the “Retrospect and Prospect: Hubei Oil Painting Exhibition”, which was held in Hubei Art Gallery. 8.In May, Luo Ping’s work of the “Fusheng and Juping” participated in the “China-Korea Contemporary Art Exhibition”, organized by the “Image Space” in Beijing Distillery Art District. 9.In May, Xu Hongwen held the “Xu Hongwen’s Architectural Design and Ink Art Exhibition” in the History Museum of School. 10.In May, Xu Hongwen held the “Xu Hongwen’s Architectural Design and Ink Art Exhibition” in BIT (Beijing Institute of Technology). 11.On May 31, the School of Design and Arts organized a series of educational activities on “Opening the door to profession” in BIT (Liangxiang Campus), and the Executive Vice President from Shenzhen Design Association, together with the President Wang Yongcai of the Newplan Enterprise gave a speech entitled the “Contemporary Trend and Design Spirits”. 12.On July 16, Hang Chunhui’s work of the “Prophet 1” participated in the “School of Fine Arts: the First Invitational Exhibition of Chinese Fine Arts Painting”. 13.On September 8, Professor Dorothea Fleiss, the German painter, together with the professor from the Brandenburg University of Technology, Ms. Albert, a member of the UNESCO (United Nations Educational Scientific and Cultural Organization) Heritage Committee, and Ms. Zhao Linhong, an Austrian Chinese female Artist, visited the School of Design and Arts. Professor Dorothea Fleiss gave a speech entitled the “German Modern Art”, which was held in the School’s Lecture Hall. 14.In September, Ma Weixing received the Outstanding Instructor Award for the “Ninth China Environmental Art and Design for Academic Year”. 15.On September 16, Xu Hongwen’s work participated in the “Rhythm of Ink: Chinese Exhibition Tour in Southeast”, which was held in the National Gallery in Jakarta, Indonesia. 16.In September, Yang Jianming, Fu Hong, Zhou Yan, Sun Miao, Wang Hongwei, Zhang Yan Hong, Zhao Bin, Liu Ming and other teachers and students participated in the “Impression on Jingxing: the Invitation Exhibition of Sketch Art College”, which was held in Hebei Art Gallery. 17.On October 8, the School of Design and Arts held an International Academic Forum entitled the “Changes in the Industry: A New Mission of Contemporary Design”. The famous French Designer Benjamin Loyauté, Lausanne, Professor Tristan Kobler, from the School of Arts, and Teachers Wang Legeng and Qiu Yue, from the BIT School of Design and Arts gave a special symposium. 18.From October 15 to January 30, the School of Design and Arts organized students to the State Academy of Art and Design Stuttgart, Germany for short-term overseas educational activities. 19.On October 15, the “First Alumni Forum of the Beijing Institute of Technology 2011” was held in the Lecture Hall of the BIT Teaching Building Center. Many schoolfellows of our School of Design and Arts, including the famous ones from all walks of life, attended the forum. 20.On October 22, Tan Ying’s work of the “Linglong Tower Interior Reconstruction Design in Beijing Olympic Games” won the “International Environmental Art Innovation: the Tripod Award” in the “Sixth China International Design Art Exhibition 2011”. 21.On October 28, British Professor William Alsop gave a special symposium entitled “To Create a Harmonious Space: Modern Design Aesthetics”, which was held at the Digital Imaging Lab in the School of Design and Arts. 22.In October, Xu Hongwen held the “Xu Yiwen’s Chinese Ink Painting Exhibition” in Frankfurt Aschaffenburg, French. 23.In October, Xu Hongwen held the Solo Ink Painting Exhibition in the 99 Gallery of Aschaffenburg, Germany. 24.In November, Guo Hong was served as the Party Secretary of the School of Design and Arts. 25.In November, Fu Hong’s work of the “Fifty Days” participated in the “Cooperative Exhibition of Paintings”, which was held in the White Box Museum of Art, Beijing. 26.On November 3, the School of Design and Arts held a series of activities on the “Professional Education: the Exchange and Special Topic Lecture of Grade 2011. 27.On December 11, Xu Bangyue won the “State Award in China Design for the Outstanding Contributions”. 28.On December 21, Mr. Shang Hui, the Doctor of China Arts and the Editor-in-Chief of the magazine Art, gave a lecture entitled the “Contemporary Art Value System and Trend in China” at the lecture hall in the BIT School of Design and Arts. 29.On December 22, a report on the “BIT’s Eighth Century Cup of Students’ Work Competition in Extracurricular Academic Science and Technology: A Group Competition in the School of Design and Arts” was held in BIT (Liangxiang Campus). 30.On December 23, Tan Ying’s work of the “Landscape Design for the West Zhongxing Road and Zhongxing Square in Harbin” won the Silver Prize of the “First International Conference of Landscape Planning and Design 2011” (Idea-King). 31.The works of Yang Jianming and Zhou Yan participated in the “2011 International Modern Painting Art Exhibition in Qinhuangdao”. 32.Sun Yuanbo got involved in the preparation of the provincial material entitled the Beijing Higher quality Textbook. 33.Zhang Hong’s works participated in the “Backtracking and Offset: External Cardiac Series of Exhibitions”, which was held in the Beijing Times Art Museum. 34.Hang Chunhui’s work of the “Wang’s Conspiracy” participated in the “Youth Art Exhibition”. 35.Yan Kai held a solo exhibition entitled the “Dead Skin: A Temporary Heaven” in Antwerp Mandarins Gallery (the Orange Gallery), Belgium. 36.Zhang Honghai’s works participated in the “Design Works of China-South Korea Exhibition”. 37.Li Xiaohan’s works of the “Harmonious area of the West Railway Station in Harbin and the Landscape Design for ZTE Plaza and Leisure Corridor” won the Third China Environmental Integrated Art Award and the Best Creative Design Award 2011. 38.Luo Qi’s design work won the First Prize for the Scientific and Technological Progress Award. 39.The Department of Environmental Arts and Design cooperated with the Construction Group, and established training bases in the Bureau Group Interior Fitout Engineering Co., Ltd. and the Second Construction Co., Ltd., of China Construction First Group. 40.The School of Visual Arts established training bases in the Perfect Dynamic Animation Education Institutions and the Paris Higher School of Arts and Cultural Management (IESA). 41.The Industrial Design Team participated in the “Three-One Industrial Design Competition in China”, and they received the First, Second and Third Prize. 42.The Industrial Design Team participated in the “UPA Interactive Design Competition”, and they won the Design Prize and Outstanding Team Award. 43.Professor Lehman, German designer, gave a lecture entitled the “History and Status Quo of German Industrial Design Education” in the School of Industrial Design. 44.Dr. Lin Min, Head of the Department of User Experience in Samsung China Design, gave a lecture entitled “To Experience the Design Era” in the School of Design and Arts. 45.Wang Wen, from Lenovo, gave a speech entitled the “User Research” in the School of Design and Arts. 46.Xu Bangyue’s works took part in the "LOVE & PEACE--China, Japan, Korea and Britain Poster Exhibition" which was held in Seoul. 47.Zhang Honghai’s works won the Golden Prize of Chinese Creative Design Yearbook. 48.The delegation of the Department of Industrial Design took part in “2012 UPA Interaction Design Competition” and won the Design Award and Excellent Team Award. 49.Wang Zhaokun and Dong Jiabin won the Silver Prize of CDN Vehicle Design Competition. 50.Wang Can, postgraduate of the Department of Industrial Design won iF Prize. 51.Wang Dongsheng and Gong Chao was recruited. 1.The Industrial Design Team participated in the “UPA Interactive Design Competition”, and they won the Design Prize and Outstanding Team Award. 2.Professor Lehman, German designer, gave a lecture entitled the “History and Status Quo of German Industrial Design Education” in the School of Industrial Design. 3.Dr. Lin Min, Head of the Department of User Experience in Samsung China Design, gave a lecture entitled “To Experience the Design Era” in the School of Design and Arts. 4.Wang Wen, from Lenovo, gave a speech entitled the “User Research” in the School of Design and Arts. 5.Xu Bangyue’s works took part in the "LOVE & PEACE--China, Japan, Korea and Britain Poster Exhibition" which was held in Seoul. 6.Zhang Honghai’s works won the Golden Prize of Chinese Creative Design Yearbook. 7.The delegation of the Department of Industrial Design took part in “2012 UPA Interaction Design Competition” and won the Design Award and Excellent Team Award. 8.Wang Zhaokun and Dong Jiabin won the Silver Prize of CDN Vehicle Design Competition. 9.Wang Can, postgraduate of the Department of Industrial Design won iF Prize. 10.Wang Dongsheng and Gong Chao was recruited. 1.In January, Gong Xiaodong had a school trip in Oxford University (Feb.2013-Jan.2014). 2.In February, Hao Yawei had a school trip in the Department of Visual Design in Dongseo University (Feb.2012-January 10th, 2015). 3.In March, Defence Equipment R&D Center was established. 4.In March, Zhang Honghai had a school trip in Kobe Design University (Mar.2013-Feb.2014). 5.In March, Shi Lei had a school trip in Canada (Mar.2013-Feb.2014). 6.During March 2nd to March 22nd , Yang Jianming, the head of School of Design and Arts, went to Georgia Institute of Technology to join in the fourteen-day study called “The Road to the Institute of Technology in 21st Century”, and had a visit to Stevens Institute of Technology and Northeastern University. 7.On March 21st, postgraduates of 2013 held the Graduation Exhibition. 8.Arts major recruits postgraduates of two research directions: oil painting and Chinese painting. 9.On March 25th and 28th, the researcher of Chinese National Academy of Painting, Mr. Mei Mosheng, was invited to “The Road to Artistic Craftsman” forum, and gave two speeches: “Artists’ Culture” and “The Beauty of Life in Chinese Art”. 10.On April 9th to 14th, the Doctor Wen Weicai joined in the “Excellent Designs Exhibition of 2013 International Milan Design Week”. 11.On April 21st, the exhibition “Simple Splendor----Works Exhibition of the Russia Student of BIT, Anna Karkimina” was held in Beijing Yuanxiang Art Space. This is the first time that the college held personal exhibition for student and the exhibition was held out of school. 12.During March and April, the college conducted a large-scale repair for the reference room, updating and expanding the number of design, arts and humanities books. 13.On May 21st, Xi Haifei, professor of Arts School of Tsinghua University and editor of the book Criticism on Chinese Cities--Expressions of Cities, held the lecture whose topic was “Civilization, Public Environment and Survival of Cities”. 14.On May 25th, the workshop summary and report meeting was co-held by the college and Professor Gort, who was from Universiteit Delft, in the postgraduate building. 15.On June 5th, Prof. George Teodorescu, head of the School of Integrated Innovation of the University of Wuppertal, gave the lecture whose topic was “DESIGN ELSE —— A Different Design Understanding and Practice”. 16.On June 18th, the activity “Greetings of World Heritage on Campus” was held by World Heritage Research Commission of China Heritage Society, and Shan Qixiang, who comes from National Palace Museum, gave the speech called “Take Over to Next Six Hundred Years”. 17.June 21, the industrial design major was approved as the Key Major of MIIT. 18.June 27, the postgraduates Li Xinran, Lin Yuan, Gao Teng and Huang Qing were rewarded the 22nd Golden Calf Prize. 19.In June, alumnus of 1988, Prof. Feng Feng of the University of Houston was invited to have a visit, teach students and communicate with the college. 20.In June, Development and Education Research of International Design that edited by Yang Jianming was published by the BIT Press. 21.In July, the works of Zhang Honghai was rewarded the first prize in “International Designs Exhibition of Japanese Crafts and Arts Association”. 22.From July 3 to July 6, the representative team led by Yang Xin went to Busan, South Korea and took part in the “Asian Design Academic Seminar”. 23.On Aug.27, the representative team went to Japan to join in the international design summer camp. 24.In September, based on the particular fund supported by the Lab and Equipment Management Agent of BIT, the school bought the CNC equipment, and completed of the alteration of accessories. 25.In September, evaluated by BIT and the Ministry of Education, Wang Dongsheng was selected as a member of “Distinguished Talents Support Program” of the Ministry of Education. 26.On Oct.20th, the opening ceremony of “the 1st Creative Fair of Beijing College Students” that the school involved in was held in Beijing Institute of Fashion Technology. More than 20 hand works took part in it and that of Xu Xiangyi was rewarded as “Excellent Award”. 27.On October 23, Prof. Hiroshi, from the Department of Art and Design of Kyushu Sangyo University, held the lecture themed as " See the Future Cities of China-- from the ‘Universal Design' and ‘Engineering' Perspective”. 28.On October 23, Zhu Qi, the art critic, independent curator and researcher of the Theory Department of the National Academy of China, gave the academic lecture whose theme was "Contemporary Art from the Perspective of Western Art History". 29.On November 8, in the poster design competition of “Propose Uncorrupted Spirit, Establish Honest Example”, the postgraduate Wang Yanshu won the first prize, and Zhou Ran, Liang Liang won the third Prize, and the Prof. Xu Bangyue from the Department of Visual Communication won the excellent mentor. 30.On November 14, Prof. Frank Zep, the head of the School of Product of University of Art Offenbach, was invited to the school and held the lecture of "Technology-based products and Product Systems Design". 31.In November, the school signed the cooperation agreement with the School of Architecture of the University of Houston. 32.In November, the school delegation comprised by Zhuang Hong, Sun Yuanbo, Ji Yong and Dong Hongyu went to Austria, Germany and Holland, visiting the Vienna University of Applied Arts, Vienna University of Technology, Offenbach University of Art, University of Delft and other universities. 33.On November 22, Zong Mingming, Wang Dongsheng, Zhang Fan went to Chongqin to participate in "the 8th China Industrial Design Week and the 2nd China (Chongqing) International Design Week". 34.On December 8, the school held "2013 Cross-strait Design Art Camp" activities in BIT. 35.On December 12, Bai’Ou, Art Director of the Cultural Industry Development and Management Center of National Museum was invited to hold a lecture. 36.On December 12, Luo Qi’s works-- "Water-Storing Lantern Flowerpot" won the first prize of "IDEA Finalist", and "Yi Qi Low-Frequency Pulsed Treatment Device" won the China Red Star Design Award; Li Guangliang’s works series of super truck won the Chinese Red Star Design Award. 37.On December 19, Dr. Liu Wei, researcher from the Delft University of Technology visited the School of Design. 38.On December 24, the Award Ceremony of 2013 Red Dot Awards was held in Singapore, Luo Qi’s works won the Red Dot Award, and the postgraduate Cheng Xi’s works "Draw Pal" (painting partner) won the Red Dot Concept. 39.On December 24, the 2013 Party Branch of the School of Design won the first prize of the Red "1 + 1" Demonstration Activity of Beijing Universities. 40.Zhang Hong’s works took part in the “Along the road--Exhibition of Seven Women” held at the Art Gallery. 41.Yan Kai held the solo exhibition “Tea’s Concept and Color” at Mizuma Gallery. 42.Li Guangliang won the "60 Innovator of Chinese Vehicle Design". 43.Xu Bangyue’s works took part in the "LOVE & PEACE--China, Japan, Korea and Britain Poster Exhibition" which was held in Seoul. 44.The Department of Environmental Art Design completed the planning of "Dong Yi Cultural and Creative Industry Park", and studied on its cultural value. 45.Dong Bin from the Department of Industrial Design won the third prize of "the 2nd Chang’an Automobile Cup". 46.Zong Mingming involved in the National Social Science Fund Project--"the Spread, Practice and Reconstruction of German Industrial Thought”. 47.Qu Jia, user research head of Baidu Online Network Technology Co., Ltd. held the lecture entitled "User Research Workshop". 48.Zhao Juan, Duan Jun, Ou Yangzhe entered into the school to teacher. 1.On January 7, the snow works of the college representative team "Grass and Trees Know Spring’s Coming" won the first prize in the "2014 Snow Sculpture Competition of International College Students". 2.On January 14, the International Creative Works Exhibition of Students was held. 3.On March 25, Prof. Yu Xixian of Pecking University gave the lecture whose topic was “Feng Shui Culture and Environment Design”. 4.In April, Yang Xin, Qiu Yue, Zhang Fan and Yang Jianmin had a school trip in the University of Houston and San Francisco State University, carrying out the negotiations on school exchange programs on behalf of the school. 5.On April 29, the art theorist, Prof. Yin Shuangxi, from the Central Academy of Fine Arts, guested the "Art Criticism" series forum, and held the lecture themed "Putting People First: Overview of Chinese art in the 20th Century". 6.On June 6, the distunguished painters Wang Cheng, Wang Yi, and Wei Guangjun visited the arts postgraduate class and had discussion. 7.On June 7, Sun Yuanbo, Qiu Yue, Cheng Jiujun, Ke Wenzheng, Wang Dongsheng attended the “Discipline Upgrading and Constructions--Development Seminar of Art Disciplines” co-held by the Tsinghua University and Chinese Decorative Magazine. 8.From June 12 to June 18, Prof. Kwon of the Department of Industrial Design of Architecture School of the University of Houston, and Prof. Feng Feng were invited to the school, and brought "the 10th Anniversary Exhibition of the Department of Industrial Design of the University of Houston”. Moreover, the Prof. Kwon gave the academic reports called “Emerging Issues and Their Impact on the Design Education” “Design Education: How to Build Your Competitiveness” respectively in Zhongguancun and Liangxiang Campus. The school has hired Prof. Kwon as a part-time professor. 9.On June 13, the professor and the head of fine arts of Academy of Fine Arts in Florence GIANNI POZZI, held the lecture themed as “Contemporary Western Art: Facing China in Distance ”in the comprehensive teaching building of Liangxiang Campus District. Yan Kai held the solo exhibition “Craze” in Hong Kong BM Art Gallery of Asia Expo. 10.The Department of Visual Communication Design organized and participated in emblem and mascot collecting competitions for the World Seed Conference, and got prizes. 11.On June 26, Dr. Blair of Australia Swinburne University of Technology visited the school and had seminars entitled "Value-added of Industrial Design". 12.On July 28, the practice team--"Design, Shanxi" visited Jin Tai Lacquer Company of Shanxi, in order to carry out seven-day research activities on non-material cultural heritage protection, and set up the students' social practice base of BIT. 13.On September 8, Prof. Takahashi, from the School of Life Design of Toyo University, as well as his students, totally 14 people had a visit to the school. 14.From August 25 to 31, the School of Design and Arts held the "2014 Cross-strait Design Art Summer Camp." 15.In September, Ji Yong, as well as the university delegation, had a school trip in the Sydney University of Technology. 16.On September 12, the head of the School of Design in the University of Arts Offenbach, Prof. Frank Zep, as well as alumnus Dr. Zheng Xuan, visited the school and offered a eight-day workshop curriculum for postgraduates. 17.Qiu Yue, Luo Qi, Liang Chou and Shenhua Ping went to universities of America to conduct a one-year scholar exchange.